Maths is essential to everyday life, necessary for future financial management and employment. It is critical to the understanding of other areas of learning, scientific and technological. A high-quality mathematical education, as well as providing a sense of enjoyment and curiosity about the subject, provides a foundation for understanding the world. 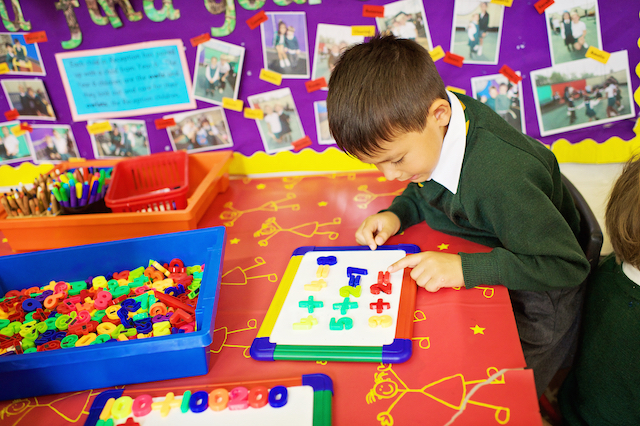 We aim that our pupils become fluent in the fundamentals of mathematics, developing conceptual understanding and the ability to recall and apply knowledge rapidly and accurately. Pupils’ thorough grasp of the number system, methods of calculation, geometry and measurement is built on as pupils move through the school. Their understanding allows them to reason mathematically and solve problems by applying their knowledge with increasing sophistication, including breaking down problems and persevering in seeking solutions.